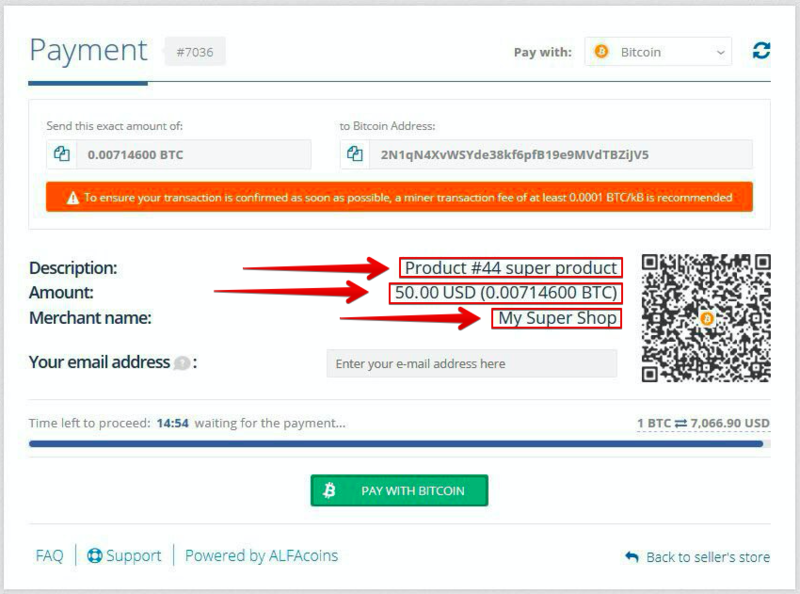 This manual will help you to integrate cryptocurrency support via Payment Button on your website. 2. 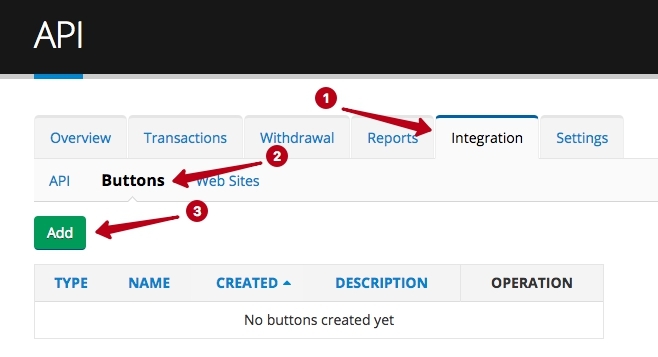 After authorization, you need to go to the "Integration" page, then choose the "Buttons" and click the "Add" button. 3. You’ll be offered a several different options for graphical design, please select the one you like. 4. 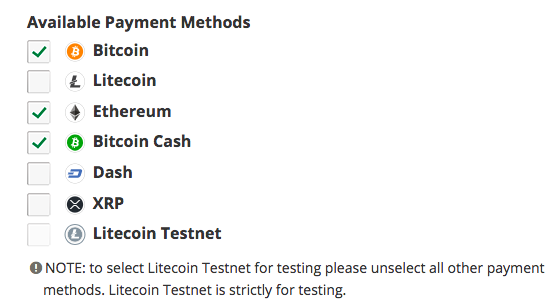 Now you need to select which cryptocurrencies will be available for your customer (e.g. Bitcoin, Ethereum, XRP) or just select none which means all of them will be available as a payment. 5. Next, you need to fill some more fields. b) Amount - the amount in US dollars (USD) for customer to pay (e.g. $50, the minimum amount is $10). d) Redirect URL (optional) - a link to the website (URL). Customer will be redirected there after the payment. e) Back to seller’s store (optional) - a link to the website (URL). Customer will be redirected there when clicking on “Back to seller’s store button” on the payment page. 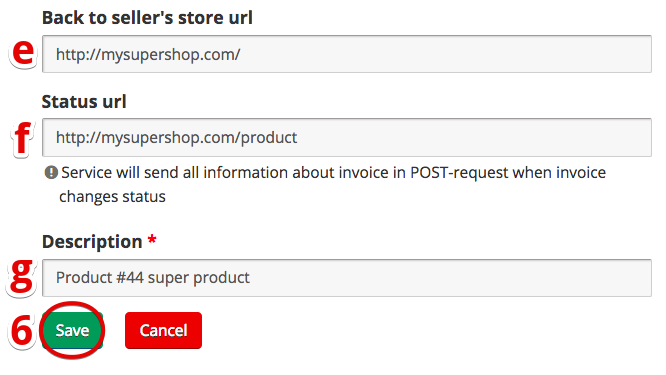 f) Status url (optional) - a link to the website (URL). 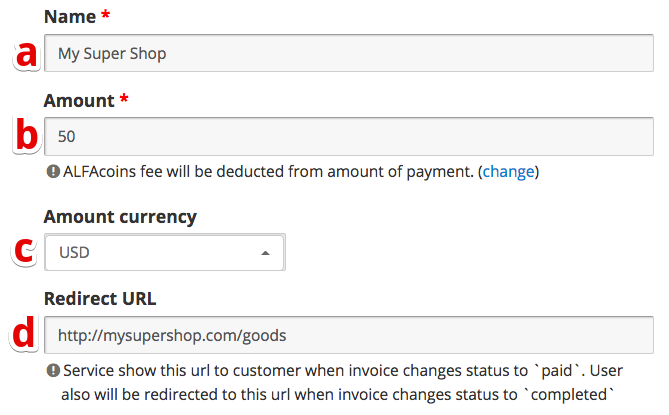 When invoice status changes (e.g. you receive the payment, partial payment or invoice expires) we will send detailed information there through POST request. g) Description - your product description, it will be displayed on the payment page (e.g. Product #44 super product). 6. Now, click "Save". Congratulations, your first button has been successfully created! 7. Now, you need to copy the button’s code which later you will need to insert on your website. To do that click on the “Copy code” button. 9. Congratulations, you’ve just integrated cryptocurrency payments on your website! 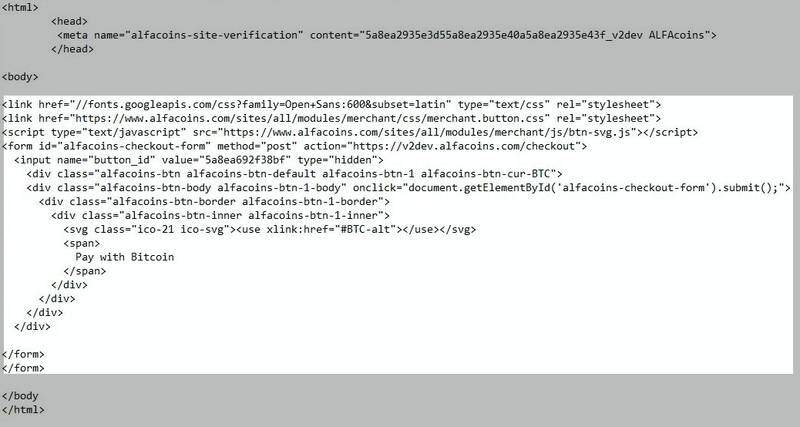 Start accepting cryptocurrency on your website today with ALFAcoins.com!